One of the many working moms out there trying to hold it down. This is my opportunity to share my culinary favorites, new creations and possibly, disasters. Since we’re experiencing a hot summer, I haven’t been using the oven much, but I’m sure no one can blame me. What better way to fulfill your craving for some cupcake awesomeness (without the use of an oven) than by using a mini cupcake maker? Mini cupcakes are cute and in MY opinion: make you feel less guilty for eating one since it’s so small…unless you pop them in your mouth by the dozen (ahem, me). My daughter and I discussed purchasing a cupcake maker and if you know me, then you know I was easy to convince! 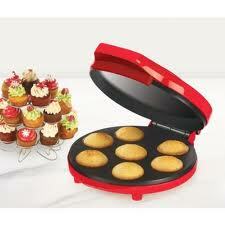 The Bella Cucina Cupcake Maker allows you to make 7 cupcakes at a time in just 10 minutes. It’s portable, compact and cleanup is easy. There’s an indicator light to let you know when it’s ready to use and recipes are included. When we first tried it out, it took a few batches for us to figure out what works best. I do want to mention that it get’s very hot, so when making them with your little ones, adult supervision is highly recommended. Paper liners are a must to make each cupcake easier to remove when ready. In addition to easy removal, I used a bamboo skewer to pop out the little suckers. Since they’re so small, frosting was quick and easy. I would recommend this product to anyone who loves sweets, hates the oven and want to include your kids in the fun. It also makes a great gift. 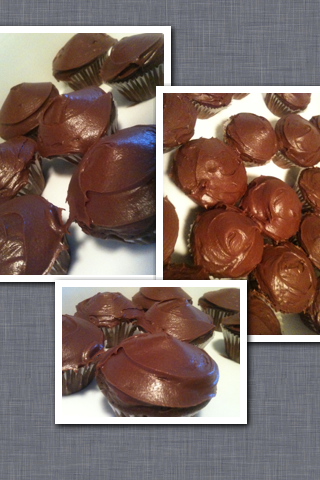 A lot of cupcakes were made our first time and I even lost track, but needless to say…craving fulfilled! 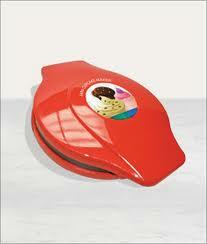 Sensio Bella Cucina 13465 Cupcake Maker, $19.99 available at Target and Macy’s. 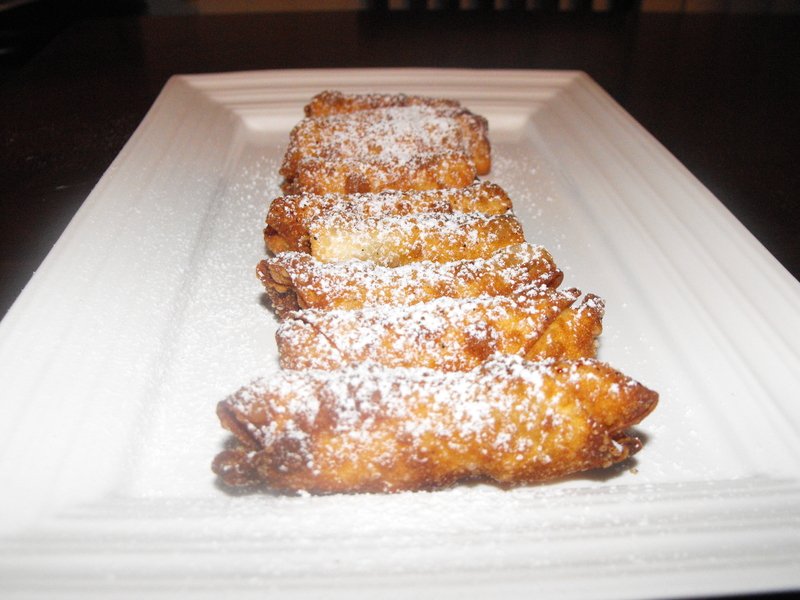 Turon is a popular snack or dessert, where ripe plantains are sliced and then wrapped in lumpia wrapper (a thin rice paper) and deep-fried. Turon is then finished off with a brown sugar glaze. I freakin’ love turon and ALWAYS look for it at family parties unless I bring them myself. 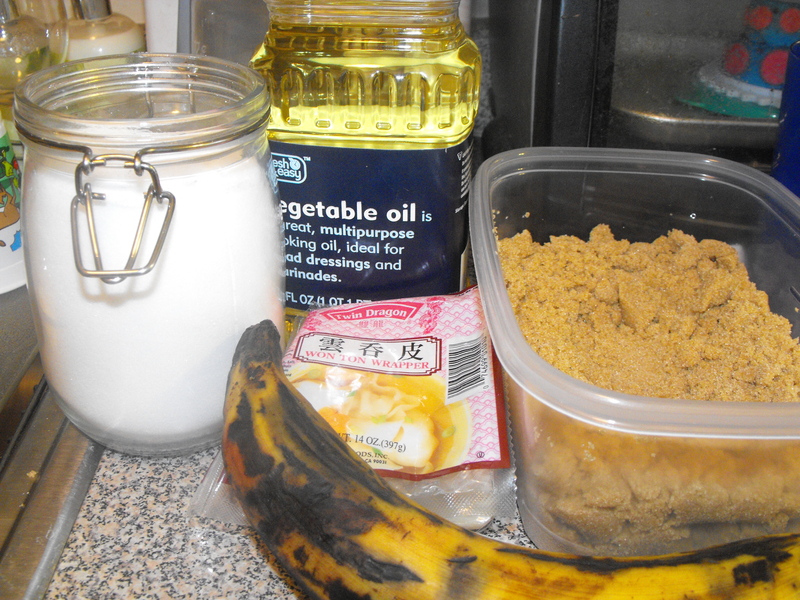 I love the sweetness of that sugar glaze along with the savoriness of the banana. And I don’t really mind the little crumbs that fall into my cleavage after biting into one! When you have free time like myself, your mind wanders about the different variations of turon out there. In this version, I used wonton wrapper instead of lumpia wrapper, since I was trying to go for a banana wonton-esque crispiness. 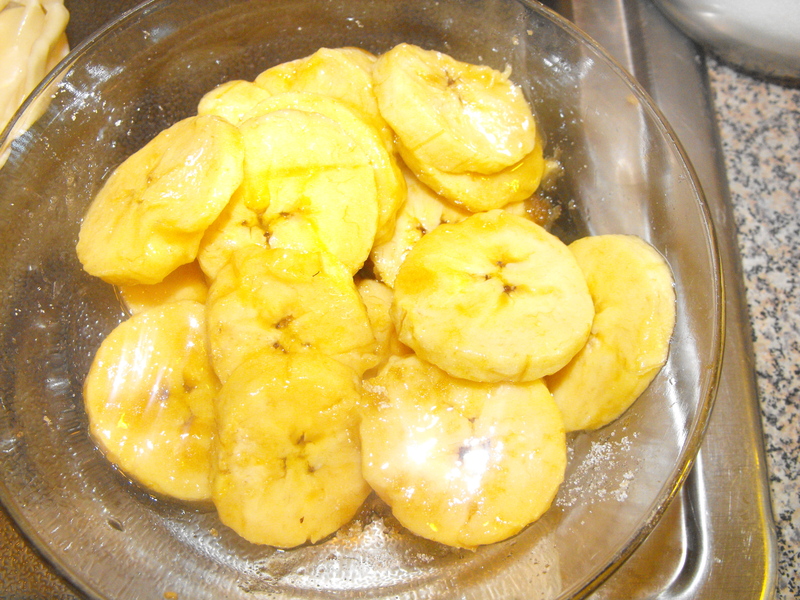 After slicing the bananas, I coated them in sugar and brown sugar to make it extra-sweet. 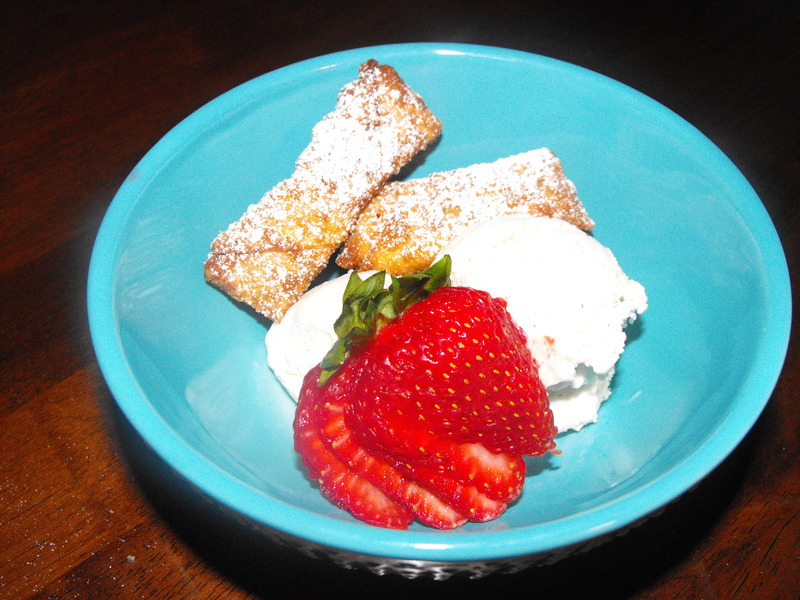 Lastly, instead of the brown sugar glaze, I topped it off with some powdered sugar. They came out great but needed to be eaten ASAP since wonton wrappers absorb a lot of oil and get soggy quick. They came out pretty small but cute things do come in small packages! Enjoy! !